March 2017 - Impressive male! Another outstanding classic silver gray male sired by Silver Legend of KPR. Intrigue has uniform consistency in both fleece architecture and micron. He has a "zipper" crimp style (high amplitude, moderate to high frequency) that is present from shoulder to hip. 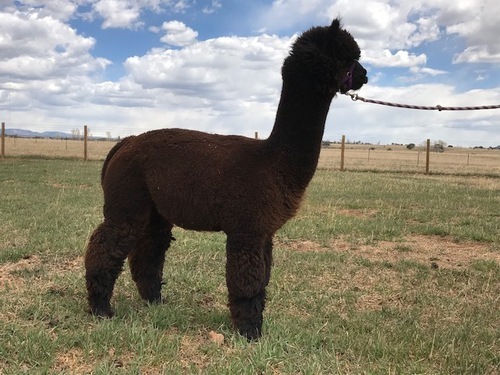 His fleece has excellent handle and, at 8 years of age, lasting fineness. Beautiful foundation female producing awesome cria. 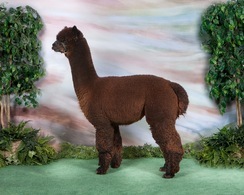 Her grand sire is none other than PPPeruvian Royal Fawn. Intrigue's Redemption, aka Reggie, is a handsome bay black male that is packed with incredible genetic background! 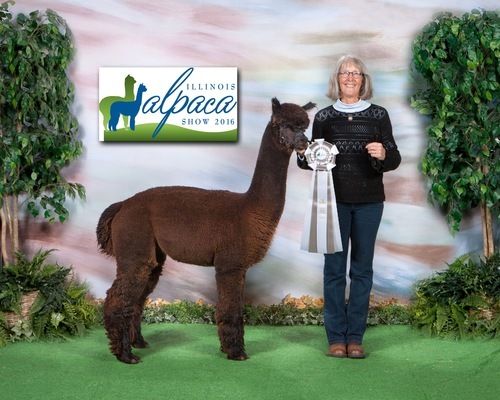 Sire is A Paca Fun's Intrigue, grand sire is none other than Silver Legend of KPR. 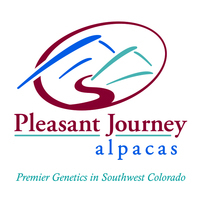 5Peruvian Royal Incan Legend and PPPeruvian Royal Fawn continue this grand genetic line. Reggie is a half brother to the incredible A Paca Fun's Super Sonic. Nice to have in the family! 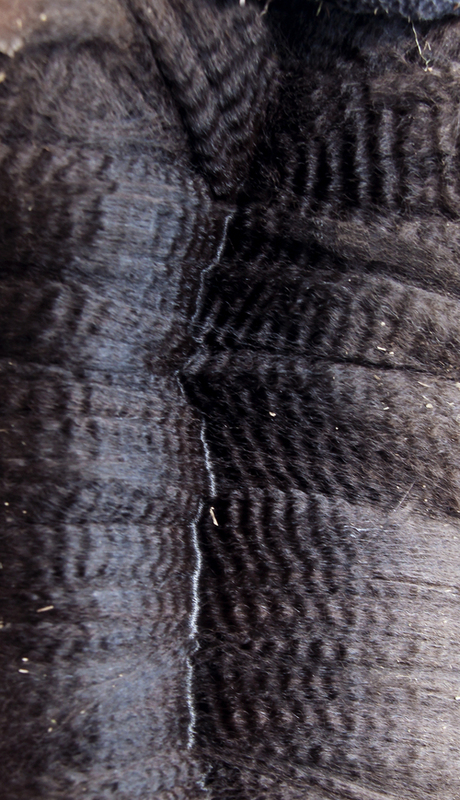 Beautiful dense bay black fleece and striking stature grace this young male. 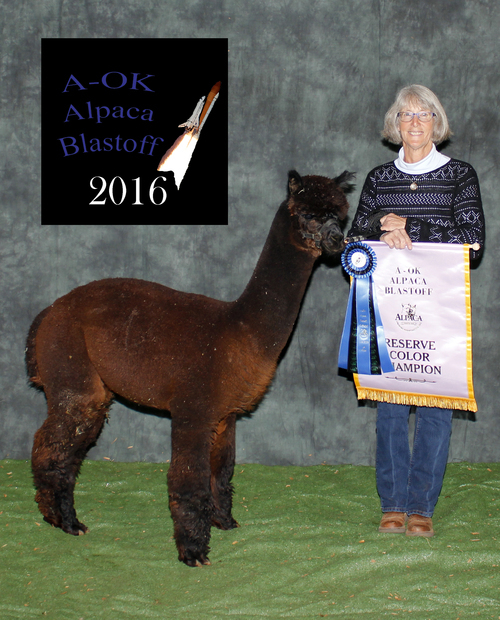 Second Place American Alpaca Showcase 2015- class of 5- Jude Anderson stating great density, uniformity and soft handle in fleece.